The 2018 celebrations for the nation’s independence will be off to a great start as the 32nd annual Spa Blast at Oaklawn will be kicking off Independence Day celebrations in Hot Springs, Arkansas on the third of July. The annual free event, presented by Budweiser, will be held in the infield at Oaklawn. Gates will open at 5 P.M. and will feature live music, which will be headlined by Led Zepagain: a Tribute to Led Zeppelin and a Kid Zone with a rock wall and petting zoo. The festivities will be culminating with a fireworks display at around 9:30 P.M. The annual event is one of the biggest events held at Oaklawn each year and according to Jennifer Hoyt, Oaklawn’s media relations manager, attendance is fairly consistent. Spa blast will be rescheduled for July 6 in the event of rain. The celebration for Independence Day will continue with another fireworks display on Lake Hamilton on the fourth of July, sponsored by Visit Hot Springs. The fireworks will be shot from the middle of Lake Hamilton, from barges located on the east side of Highway 7 at the first bridge. The best places to view the display are around the Clarion Resort on the Lake, according to Arrison. Those planning to view the fireworks display on land are asked not to impede the flow of traffic on Highway 7 while those planning to view the display from the water ar urged to keep a safe distance from fellow boaters. 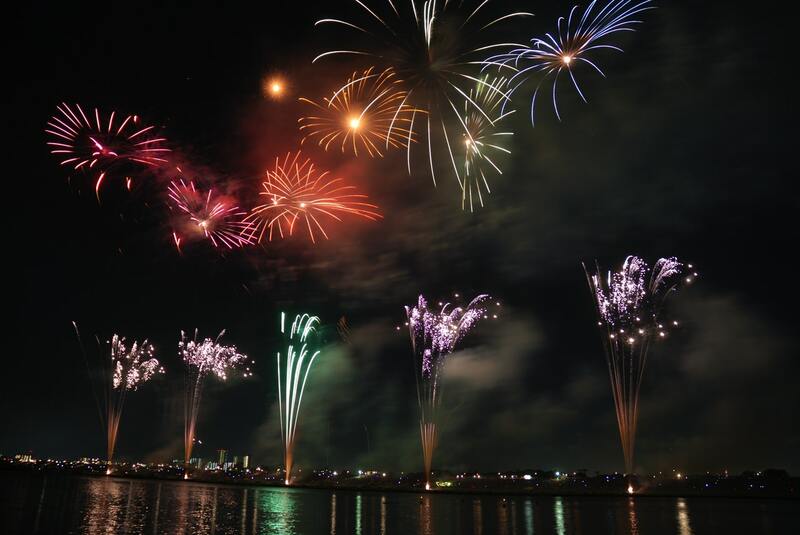 The fireworks display is reported to occur after sunset. However, in the event of rain, the display will be rescheduled to July 7. According to Arrison, a series of fireworks displays are typically held each year on Memorial Day, Independence Day, and Labor Day. However, the Independence Day display will be the last one for 2018.